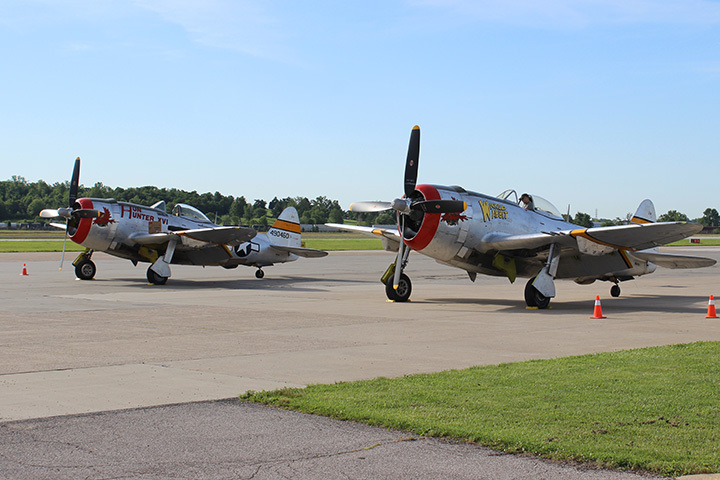 PHOTOS: Tinker Air Force Base Air Show * KOCO | Last weekend, Tinker Air Force Base held its air show. Viewer Jeff Halasz sent us these photos. He's a retired Airman and an amateur photographer from Midwest City. 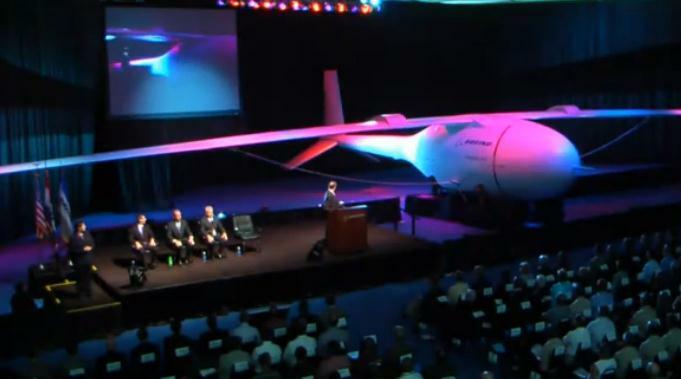 Phantom Eye - Boeing | Let's learn about a surveillance plane that can stay aloft for 4 days. 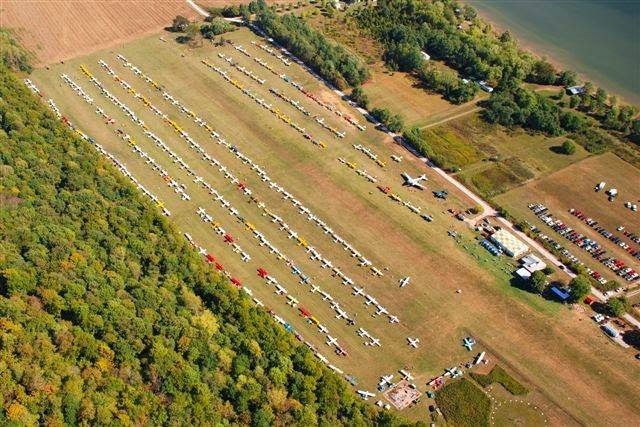 Weekend Calendar * Fencecheck | All your weekend shows are listed by our friends at the link. F-84F at the American Airpower Museum | This week the American Airpower museum also took delivery of the legendary F-84F to its collection. Acquired from the neighboring Cradle of aviation museum The F-84F rounds out one of the most complete collections of Republic Fighter Aircraft outside the USAF Museum. The F-84F, joins the P-47D, F-84E, RF-84F, F-105D, and A-10 in the American Airpower Museum collection. Amelia Earhart Namesake Takes Off on Aviatrix's Route (Video) - Newsmax.com | A 31-year-old pilot named Amelia Earhart from Denver, Colorado, took off Thursday on an 18-day, 28,000-mile trip around the world following the same route that her namesake attempted in back in 1937. Earhart hopes to succeed where the original aviatrix didn't, and become the youngest woman to fly around the world in a single-engine aircraft,...Those interested in tracking her flight minute-by-minute can visit AmeliaEarhartProject.com or FlightAware.com. French Navy Join Air Day Celebrations * UK Airshow News - Flightline UK | Rafale multirole fighters from the French Navy will represent the sharp end of ‘Carrier Aviation’ at RNAS Yeovilton International Air Day on 26 July. Two Rafale Ms will be part of the event’s static display, joined by a Falcon 10 transport and communications aircraft in the French Navy’s only UK airshow appearance of this year so far confirmed. Fichera Bird BK Isn't Reportedly Anne Morrow Lindbergh's Plane, It Was! Timeless Voices - Bazil Perkins · eaavideo.org | Bazil Perkins (1922-2005) enlisted in the Air Corps in June 1941. Trained as an aircraft mechanic, he was sent to Goose Bay, Labrador to help establish an airbase for the Ferry Command. Once there, Bazil served as the line chief for two years. July 4th – Sing the 4th of July! Celebrating Independence Day with performances by choral groups Melemai Kapu’uwaimai, and from China, Liao Qiyu Opera Troupe, 12:00pm to 1:30pm, Hangar 37. Free with Museum admission and free to Museum members. July 15th- 17th – Aviation Adventure. A cross-cultural experience for young people as students from China will join our local students as they explore the history of aviation in Hawaii and the science, technology, engineering and math principles of flight. Three full days and two nights of adventure. Overnight accommodations provided on the Battleship Missouri. $300 for the 3-day/2-night program includes all materials, meals, snacks, overnight accommodations, and an Aviation Adventure logo tee shirt. Discounts available for Museum Members. This program is open to those who have completed the Museum’s basic Flight School program or who are at least 13 years of age. Aviation Adventure repeats: July 22nd-24th. Visit www.PacificAviationMuseum.org/Education/AviationAdventure or email Education@PacificAviationMuseum.org for more information. September 27 – Smithsonian Magazine Museum Day Live! 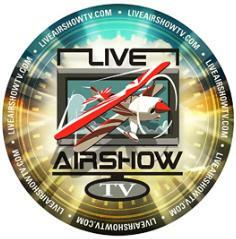 Free admission to Pacific Aviation Museum Pearl Harbor for anyone presenting a Museum Day Live! Ticket. Download free tickets at http://www.smithsonianmag.com/museumday/. This is an annual national celebration of culture & learning between the two museums. Pacific Aviation Museum Pearl Harbor is a Smithsonian Affiliate Museum. October 4th – Hangar Talk & Book Signing with Stacey Hayashi, author of Journey of Heroes. Hangar Talk is at 2pm followed by book signing and meet the author at 3pm. Free with Museum admission and free to Museum Members. October 18th – Open Cockpit Day, 10am to 4pm in both Hangars. 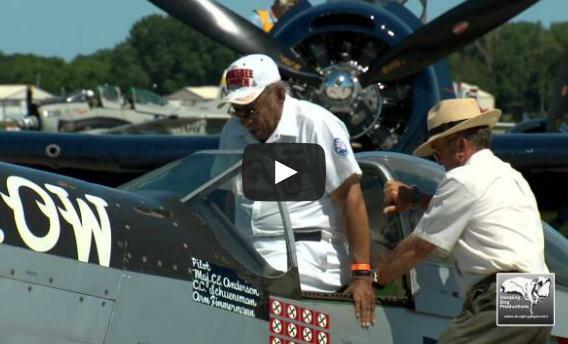 Climb into the cockpit of one of several of our historic aircraft and talk story with pilots. Flight suits, helmets, and fun provided. Bring your camera! Free with Museum admission and free to Museum Members. December 6 - 8th Anniversary Dinner Gala - “Destinations & Dreams” 5:30 to 9:30PM. The annual fundraiser for Pacific Aviation Museum Pearl Harbor. Cocktails, dinner, entertainment, and prize opportunities to help support the Museum’s Restoration and Education programs. Tickets are $250 for the gala event in the battlefield hangars of Ford Island, on the night before the December 7th attack occurred in 1941. Information, sponsor tables & ticket sales at PacificAviationMuseum.org or call 441-1006 for more. The Museum Store and Laniakea Café restaurant are unique in their offerings and their 1940s ambiance. Phone (808) 441-1000 or visit www.PacificAviationMuseum.org for tickets and more information. 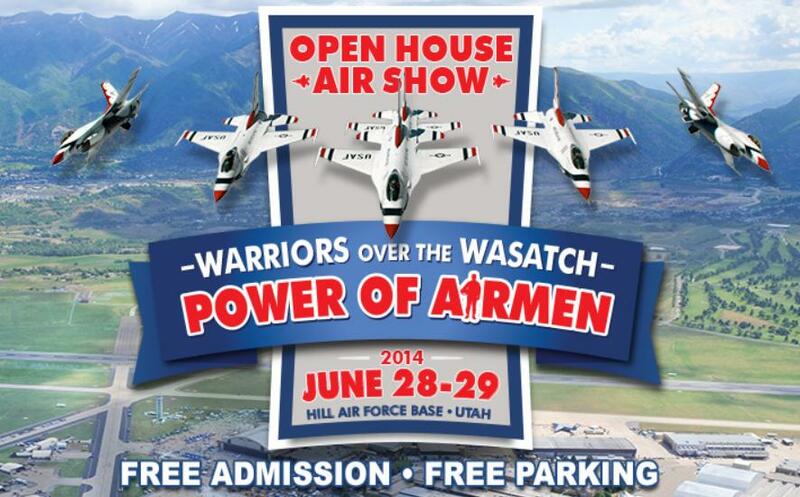 Tickets and a free Flight Simulator coupon are available online. Pacific Aviation Museum Pearl Harbor is a 501(c) (3) nonprofit organization, which depends on membership and donations for its support. A Smithsonian Affiliate Museum, it is also rated one of the top 10 aviation attractions nationally by TripAdvisor®. It is located at 319 Lexington Boulevard, Historic Ford Island, Pearl Harbor, Oahu, Honolulu, Hawaii 96818. 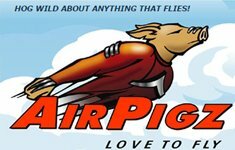 Radio Control Club holds Fun-Fly air show * bcrnews.com | PERU — The Illinois Valley Radio Control Club will hold its annual Fun-Fly air show from 9 a.m. to 4 p.m. June 28 at Flaherty Field airport in Peru. Many airplane models with wing spans ranging from 18 inches to more than 10 feet will be on display. Apache’s Explosive Display Confirmed at Wings & Wheels * Flightline UK | The Apache Attack Helicopter Display Team will be exploding onto the aerodrome this August Bank Holiday when they join the Wings & Wheels line-up on Saturday 23rd and Sunday 24th August at Dunsfold Aerodrome in, Guildford, Surrey. 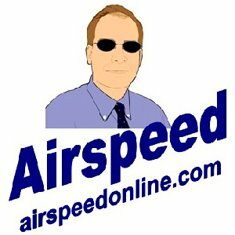 Morgan Air Racing Team Part 2 * Kingstree News | It was a pleasing sight. A shiny blue T-6 was cranking up. Just a few little checks and we would be headed to Reno. The engine started and seemed to run smoothly. Nothing sounded amiss. Chad shut down the engine and said the idle wasn't set exactly right. ONtario Air News #9 * Charles Johnson | Every year we feature Ontario in a couple of Issues, Kem Mist Keeps us updated on all the activities in the Toronto area. Amelia Rose Earhart takes off Thursday · The International Council of Air Shows | Amelia Rose Earhart takes off Thursday take re-create her namesake's journey. Watch this short video to learn more. Snowbirds Aerobatic Team perform * Western Star | The finale of the Snowbirds Aerobatic Team performance on Saturday in Stephenville featured a mishmash of flying moves with lots of audience members grabbing photos and video.